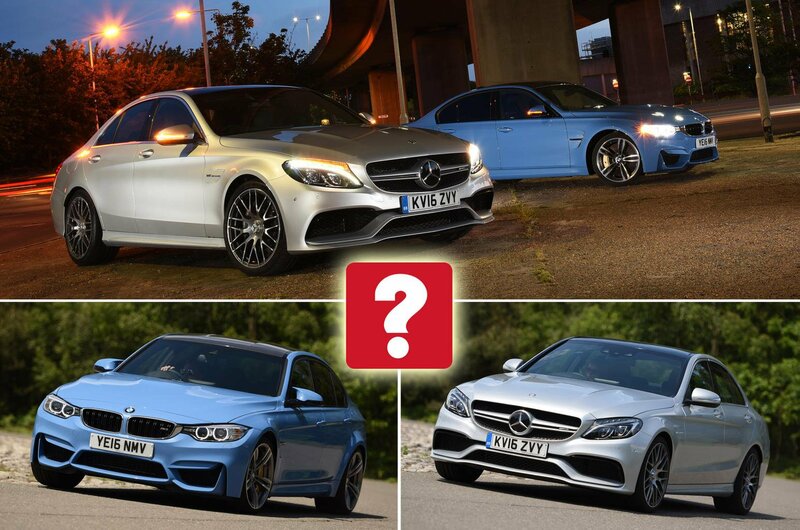 BMW M3 vs Mercedes-AMG C63 | What Car? 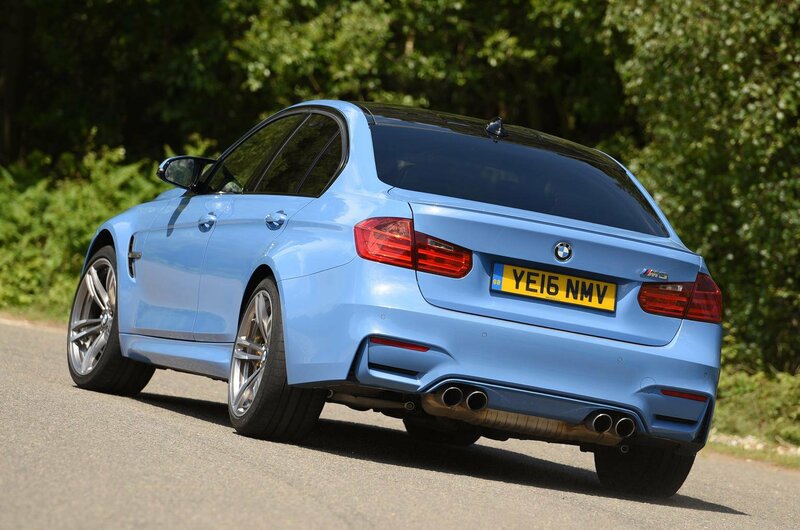 The BMW M3 is our favourite sports saloon of the moment, so can it fend off the newer C63? BMW M versus Mercedes AMG. It’s a head-to-head that’s been fuelling pub arguments for decades, and while tightening emissions regulations mean the latest Mercedes-AMG C63 has had to swap the glorious 6.2-litre V8 of its predecessor for a 4.0-litre twin-turbo unit, its a more potent car as well as a more efficient one. 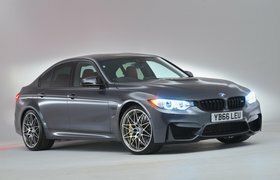 It needed to be if it was to have any chance of beating the BMW M3, which has established a reputation for being brutally rapid, unfailingly precise and – when pushed – as entertaining as any sports saloon out there. So, which is best? Although both deliver a 0-60mph time in the 4.0sec region, and have similarly impressive brakes and advanced, adjustable suspension systems, they feel very different to drive. For a start, the M3 is a far keener-handling car. There’s a huge amount of grip, minimal body roll and super-fast, precise responses, albeit a shortage of genuine feedback through the steering wheel. Switch to the C63 and you’ll find it a much softer-feeling affair, with less bite at the front and far more body lean in hard cornering. It’ll still get round corners at a vast rate of knots, but it’s not as agile and grippy as the BMW. One downside to the M3’s unflappable handling is that it has to be driven hard before it really starts to excite. 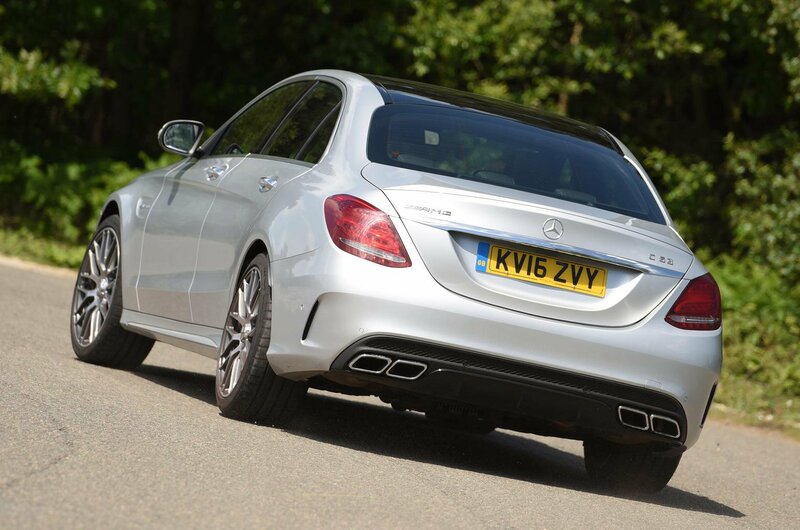 This is where the C63 makes up some ground, thanks in part to its 4.0-litre V8 engine. The M3’s 3.0-litre six-cylinder can sound harsh and uncouth, whereas the Mercedes’ makes a gratifyingly baritone rumble, even at lower speeds. This lends it real theatre, so you don’t have to thrash it to enjoy the noise and sense of power. You can’t argue with the relentless nature of the M3’s twin-turbo engine, though. With 425bhp, it’s not as powerful as the C63's 469bhp twin-turbo V8, but it revs much higher and adds to the BMW’s frenetic feel. The M3 is also the lighter car and can match the C63’s in-gear acceleration and sprinting capability with ease, although the Mercedes’ V8 picks up more keenly and progressively from low revs. Both automatic gearboxes have modes that can alter the shifting pattern, but the M3’s changes more quickly by some margin. In the most aggressive mode the gearbox can be very snatchy, though, so it’s best reserved for hard driving. The C63 has a more conventional seven-speed automatic, albeit with a few upgrades to give it more aggressive performance. Its shifts are slightly slower, particularly when you’re driving gently. This, in conjunction with the C63's more flexible engine and softer responses, make it more relaxed in day-to-day driving. Both cars get gearshift paddles, which make it quick and easy to command manual gear changes. The C63's launch control system is far easier to use, too, quickly granting fast and hard launches, while the M3’s can be very fiddly to activate and is less effective at minimising wheel spin. As you’d expect, neither of these cars has a cosseting ride quality, but the C63 proves the most tolerable out on the road. It’s still firm, but with the dampers in their softer mode it has enough compliance not to annoy. The M3 is harsher over scruffy surfaces, and can become jarring over more severe imperfections, regardless of which damper setting you choose. Both cars are quite noisy at motorway speeds – there’s a lot of road noise and, in the C63, the bass note of the engine doesn’t fade away at part throttle.